Boreal Space provides Systems Engineering, Attitude Control, Spacecraft Dynamics and Flight Software Engineering Services for the LightSail Missions, which are small spacecraft (CubeSats) demonstrating solar sailing in Low Earth Orbit. The LightSail team tests spacecraft components for LightSail 2. LightSail "keeps an eye on" its Flight Software developers Alex Diaz (left) and Barbara Plante (right) during bench test April 2014. Boreal Space has created the Wayfinder spacecraft series to provide payload space for customers needing access to Low Earth Orbit to test their products and services. On March 29th, 2014, our first spacecraft prototype Wayfinder I, a 1U CubeSat, flew on a suborbital test flight with our industry partner Interorbital Systems at the Mojave Friends of Amateur Rocketry test range. Wayfinder I contained a wi-fi connected sensor suite intended to demonstrate machine to machine (M2M) communications during flight. Wayfinder I being loaded onto the Interorbital Test Vehicle (below). Wayfinder I was recovered by Interorbital Systems (IOS) and returned to the on-site Boreal Space Launch Team. All Wayfinder spacecraft systems were nominal upon re-entry, and data was recovered from our on-board sensors for post-flight analysis. All test goals for internal machine to machine communications were met. The Wayfinder II/3U CubeSat is undergoing system test in preparation for the next IOS sub-orbital flight opportunity. Wayfinder II expands the mission to connect devices by adding customer payload communications to spacecraft control and status. The Wayfinder III/6U spacecraft is included on Interorbital Systems launch manifest for the company's first Low Earth Orbit flight to 310 km altitude. In addition to carrying customer provided payloads, Wayfinder III flies a ultra low power, high sensitivity "Space Link" radio that can receive data from ground-based assets (trucks, cars, utilities, farms and ranches) and route the data to customers via Internet of Things (IoT) networks. Contact us at inquire@borealspace.com for more information on payload hosting. Boreal Space provided System Engineering, Flight Software, Ground Software and Mission Operations support for the IRIS Mission as a subcontractor to the Lockheed Martin Advanced Technology Center, Palo Alto, California. IRIS was launched on June 27th, 2013 from Vandenberg Air Force Base, California and achieved its 5,000th successful orbit in June 2014. 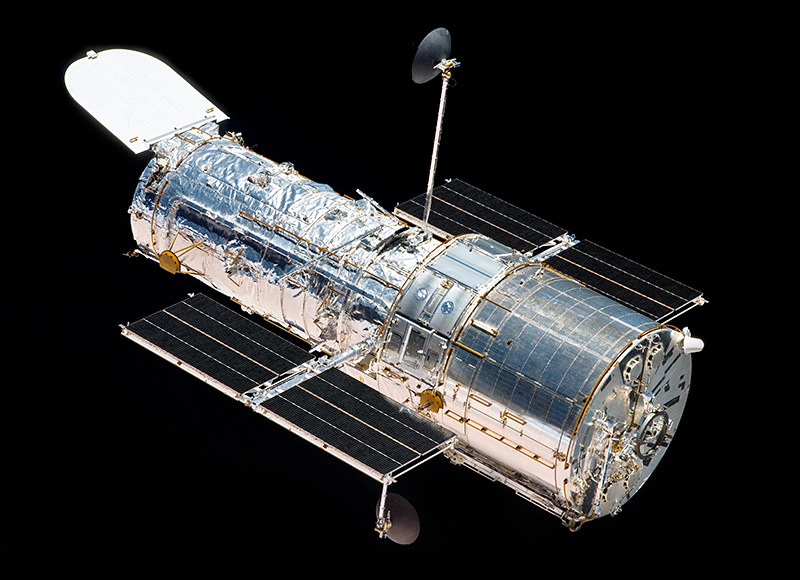 As former employees of big aerospace, members of our team contributed key technical and integration expertise to the highly successful Hubble Space Telescope mission, the Spitzer Space Telescope, IKONOS, MILSTAR and other major space missions of the last few decades. We combine this experience base with young and innovative engineering talent to achieve the best value proposition for our customers.